So since arriving in Osaka I have had some trouble sleeping. I believe the cause to be the heat, the bugs and the fact I am sleeping on a hard wooden floor. Due to these factors I do not usually sleep until around 4 am, which then eats into my plans for the next day. I wanted to go on a day trip to Kyoto so I thought the best thing to do was to stay up the night before and leave early in the morning. I also figured that when I get back at the end of the day I will be able to sleep at a reasonable hour and reset my body clock. Pretty clever! So I stayed awake all night by walking around the local area. Went by the homeless shanty town and ate some meat on a stick, which was cooked by some guy using a portable hot plate. It was delicious and the great thing was it did not come back up for a sequel. I then spent the remainder watching The Inbetweeners on my laptop until the sun rose. At 7:30 am I got the train to Kyoto. I figured I would get off the train and eventually I would see some landmarks, such as famous shrines, temples and the Imperial Palace. Due to my ignorance I walked for around 45 minutes and did not see anything but residential buildings. So I found some wifi and checked my map. 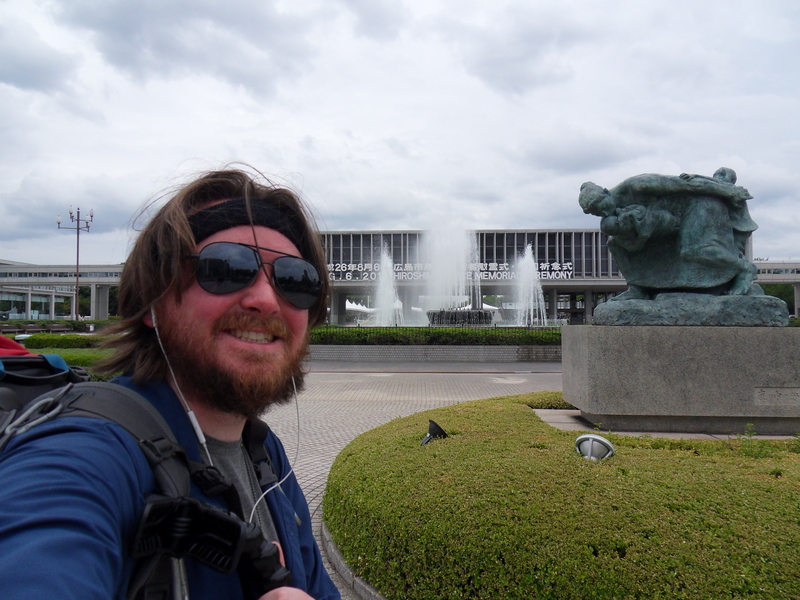 Turns out I was walking right near the Imperial Palace the whole time like an idiot. So I went to the Imperial Palace. It was in a huge park with great scenery and ancient buildings to admire. When I stopped to put sunscreen on my pasty white skin I watched some children playing baseball with their family and friends. 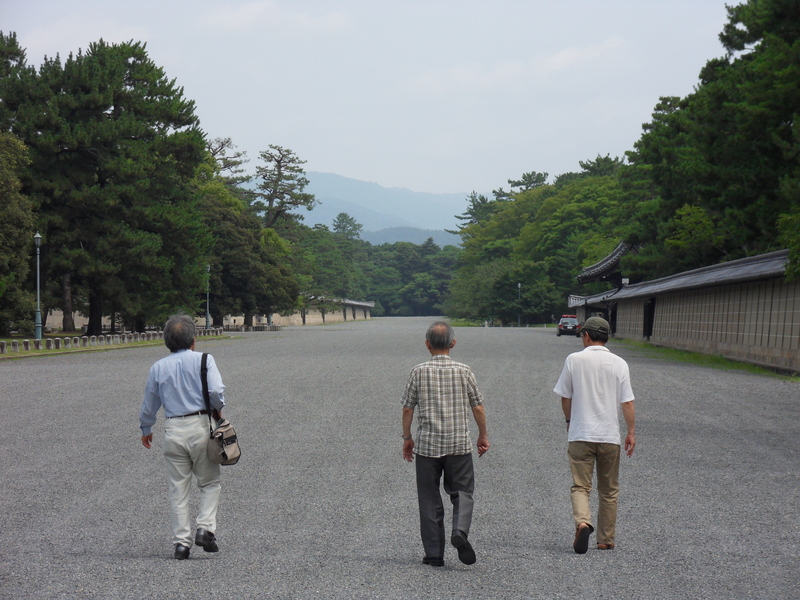 I walked towards the entrance of the Imperial Palace but was turned away. I was slightly confused as I was walking in with a group of other people that were granted access. I was then informed to go to the information centre and book a ticket for the next tour session. It was still four hours away so after brief deliberation with myself I chose to pass and go elsewhere. I caught the train to the Fushimi Inari Shrine. It is currently the number one attraction in Kyoto and won the 2014 Traveller’s Choice Award as voted by Tripadvisor users. I already had some previous knowledge of this place before hand as it looks like an amazing place to visit. 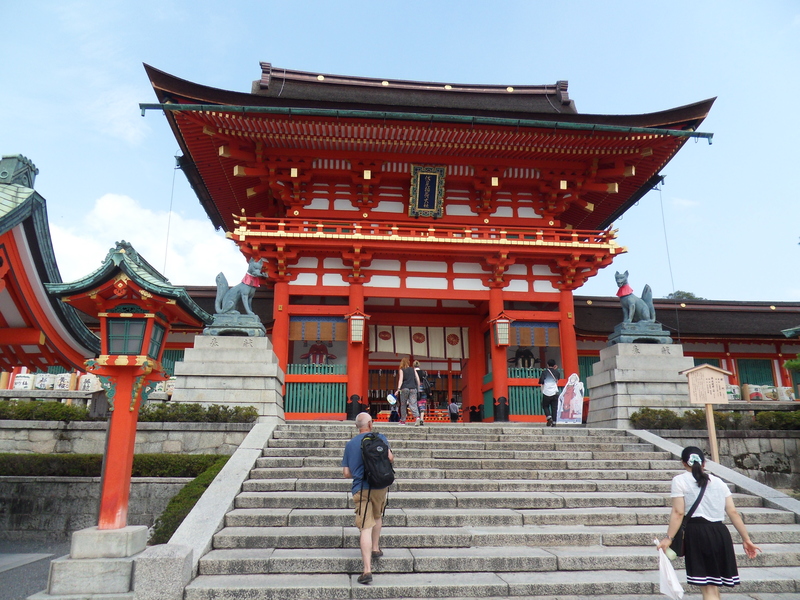 It is a long path that was constructed with hundreds and hundreds of Torii, which are traditional Japanese gates. It is visually stunning. Unfortunately the previous knowledge that I did not know was that it is, in fact, a small mountain. 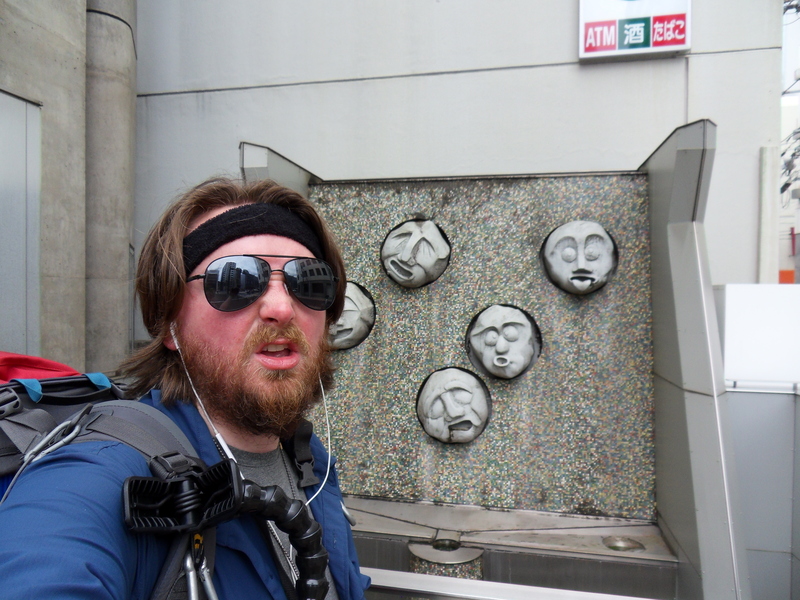 I was not ready for a mountain that day and as you know I had not slept. So I walked three quarters of the way up and decided to head back down. Even from there it had an amazing view. After that it was getting late in the day so I headed back to Osaka. The day after being in Kyoto I was looking at my map and realised that Hiroshima is only two hours away by Shinkansen. It would cost me a couple hundred dollars to get there but I could not afford to miss it. So I went online and booked a hotel for the night and got my pack ready to leave the next day. I caught the 11 am Shinkansen from Osaka to Hiroshima and arrived after 12 pm. My hotel was thirty-five minutes by foot so I thought I may as well walk there and see the city. I was surprised at how much it reminded me of Southbank in Melbourne. The Building architecture, bridges and the trams all look very similar. It was also a very surreal experience knowing that almost 70 years prior this entire city was turned to dust. They have a very large emphasis on peace and making sure the world never forgets the devastation that occurred there. I arrived at the Hotel Dormy Inn. I was excited to be checking in with the knowledge that I will have an actual bed, private bathroom and shower facilities. It will be the first time I could shower without other men being present in almost a month. So when I checked in I went up to my room and had a nice long relaxing bath. I was in heaven. I then laid on the comfy bed and relaxed in the nice cold air conditioned room. I wanted to make the most of it so I was up until around 2 am. Check out was at 11 am. 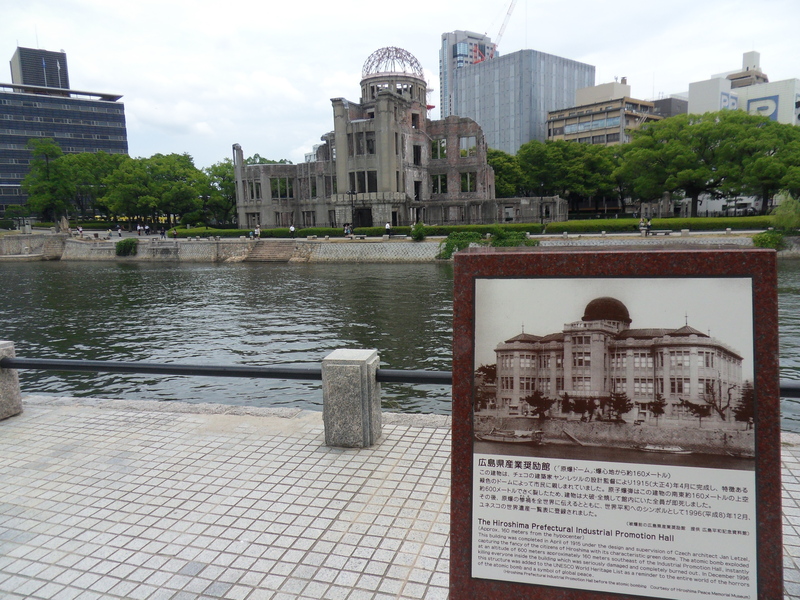 I then headed to the Atomic Bomb Dome, a building which is still standing from 1945 even after the explosion. Still surrounded by rubble, warped steel and covered with charred concrete. It is a remnant and cold reminder of the damage we can do to each other. I then headed to the Peace Memorial Park. A fact that I discovered whilst there was, in 1945 there were hundreds of men, women and children living there, families just trying to get by. 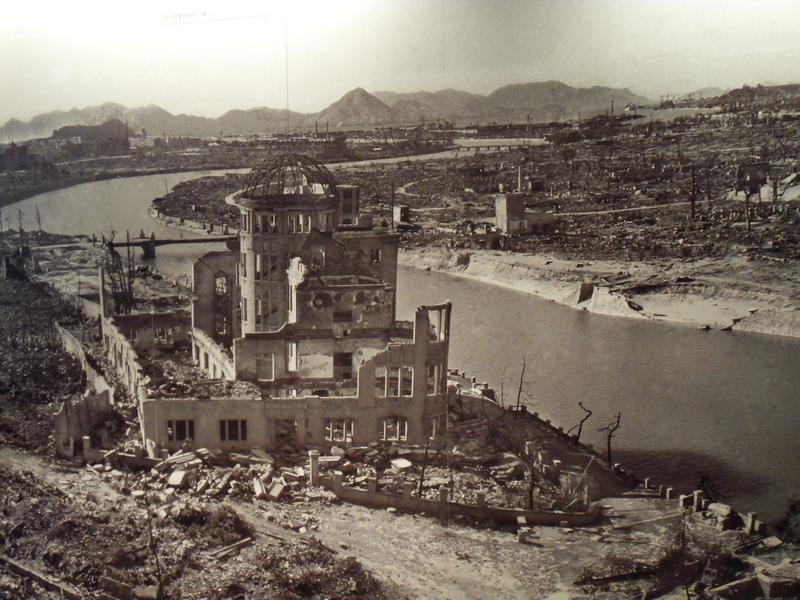 When the bomb was dropped it detonated 600 metres above the ground and completed obliterated everyone that lived there. 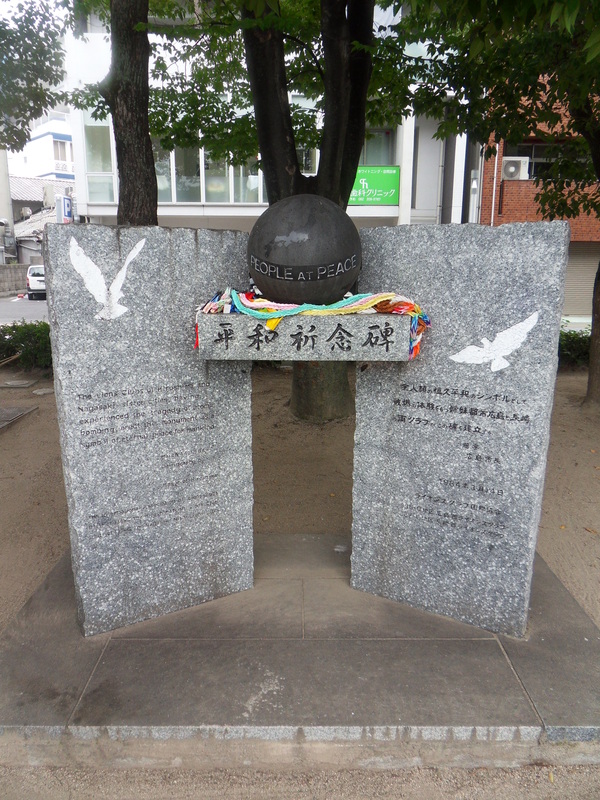 So in memorial of those families and the entire city they created the park and peace memorial where they use to reside. Many belongings were recovered after the devastation and they had them on display in the museum. One item that I could not stop looking at was the watch that stopped at the exact time of the detonation, caused by the bomb of course. 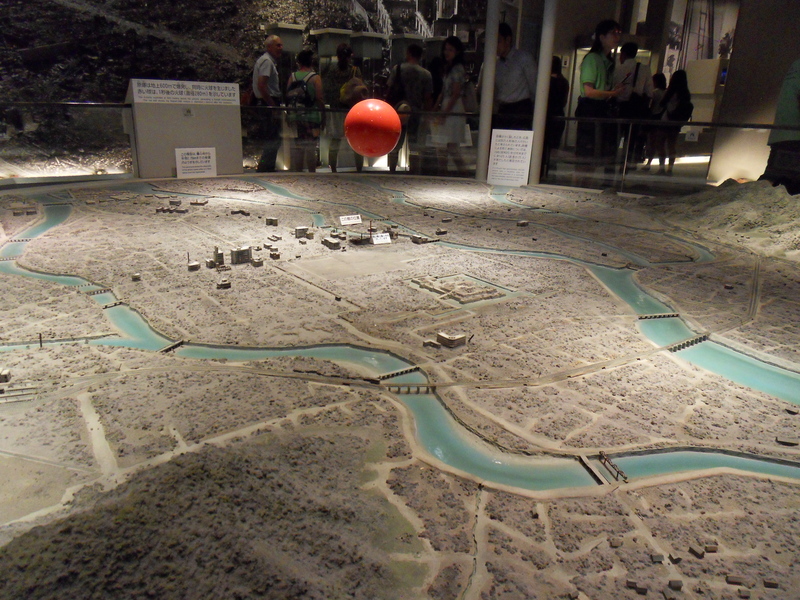 They also had two large models of Hiroshima, before and after the bomb. One was full of buildings, houses and greenery, the other was rubble, dust and skeletons of the buildings that were. The two of the most disturbing and sad things I saw were the charred kids bicycle and helmet, the other was from the wall of a building which contained the shadow of a man that was completely vaporised from the blast. Many people have claimed that the shadow is one of their relatives. Other items they had that were donated were children’s tattered and burnt school uniforms, lots of household items that had been molded together such as glass bottles and crockery cups. I left the Peace Memorial feeling quite depressed but glad I went to see it and paid my respects. It was beginning to rain and was getting late in the day so decided I should head back. I got a tram to Hiroshima station and got the next Shinkansen back to Osaka. 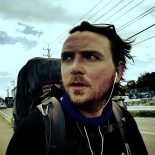 Only 10 days until my adventure in Japan comes to a close, and my shorter but just as epic adventure in China with my family begins. There is still time to donate and I am yet to reach my goal so please share and copy the links to the everyday hero website and help contribute. Every little bit counts. 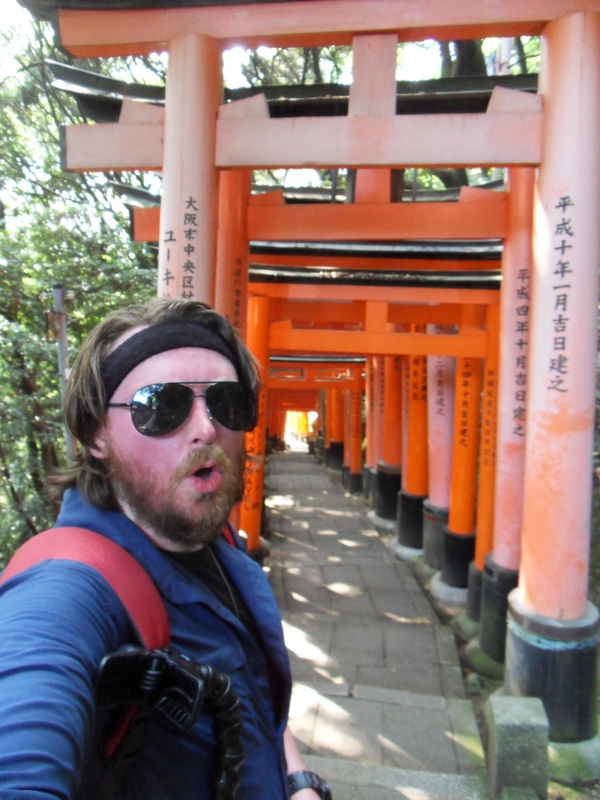 This entry was posted on August 3, 2014 by Robb Saunders in Adventure, Charity, Japan, Osaka, The Telethon Adventurers, Walking, Walking Japan and tagged Adventure, Charity, Fushimi Inari Shrine, Hiroshima, Japan, Kyoto, Nomad, Peace Memorial, Photo, Shinkansen, The Telethon Adventurers, Torri, Travel, Video, Walking.